A packed house is set to welcome club great Martin O’Neill back to the City Ground, as he takes his first game in charge of Nottingham Forest. The new Reds boss, appointed as Aitor Karanka’s successor this week, has had just a few days to prepare a team for the visit of Bristol City. But there will be no shortage of support for the former midfielder who was one of Brian Clough’s Miracle Men to lift back-to-back European Cups. O’Neill’s appointment was met with mixed emotions on social media, but the waters have calmed in recent days ahead of his first game. The 66-year-old brings a wealth of experience with him both as a player and as a manager, with close to 25 years in the dugout behind him. 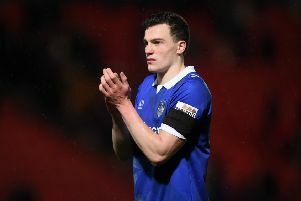 O’Neill has worked his way up the ladder, starting in non-league where he won the Conference title with Wycombe Wanderers and promotion the following year via play-offs. After a brief stop-off at Norwich City, he took over at Leicester City. With the Foxes, he gained promotion to the Premier League via the play-offs and won two League Cups. Trophy-laden years at Celtic followed before he established Aston Villa as a top six Premier League side. He saved Sunderland from relegation in his first season there and took Republic of Ireland to the last 16 of the 2016 Euros. Now, after a long-time linked with the Forest job, he will finally take his seat in the City Ground home dugout on Saturday.